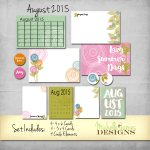 We all love free printables right? I know I do. 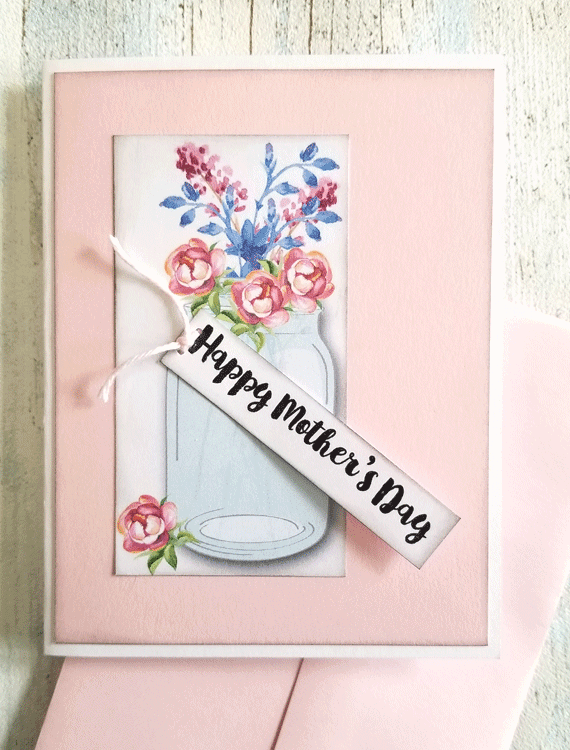 This one is specifically for Mother’s Day and I made some different variations of the card just in case you would like more than print, cut and fold. 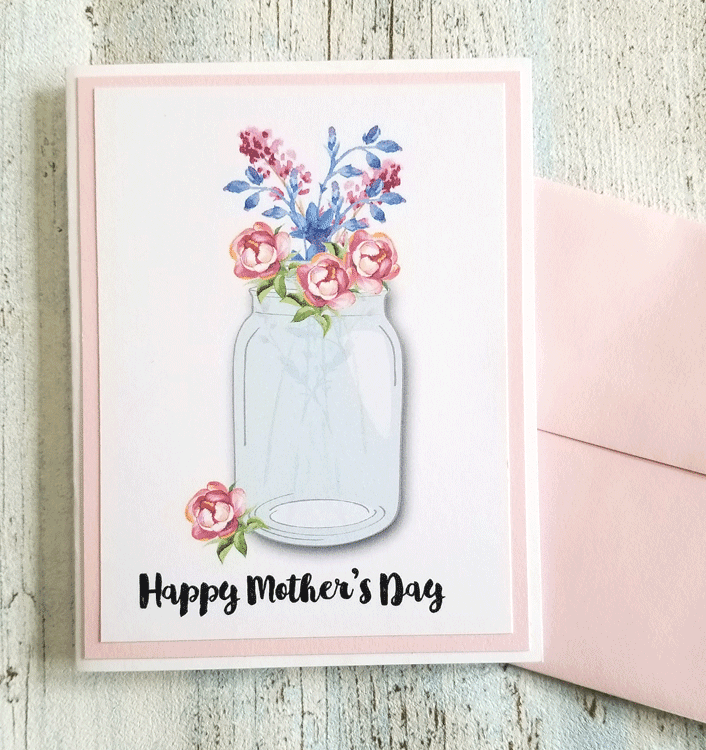 I think you will love these Mother’s Day card ideas! 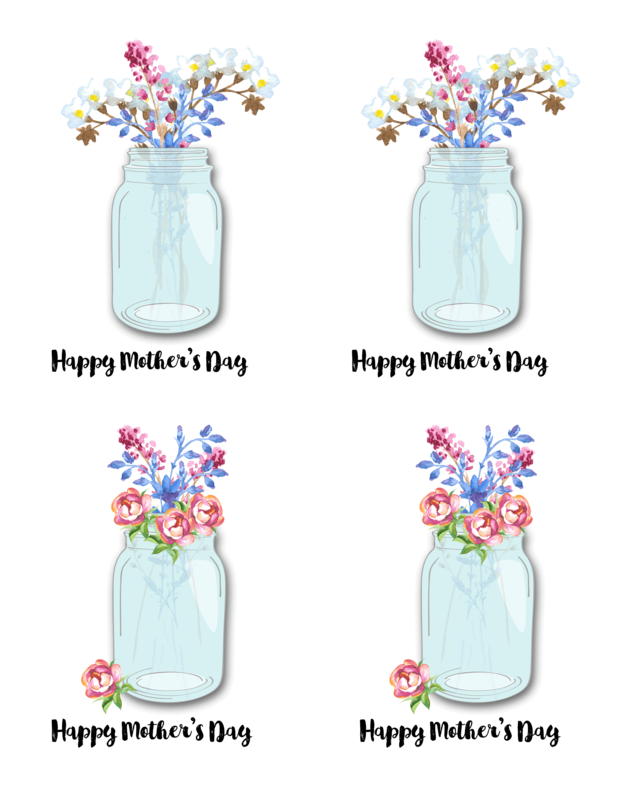 You will love these printable cards and the different ways to use them. You will need a few basic supplies. I am including affiliate links for your convenience. I make a small commission if you click on one of the links and make a purchase. But please don’t worry. I only link to products I love and use myself or know that they are great products. You can read my full disclosure here. 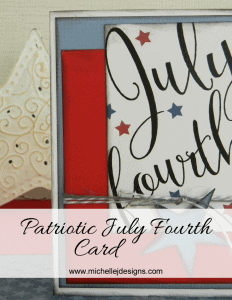 This is the easiest version of a printable card and looks pretty all by itself. Step 1: Print the sheet that has two designs on one side. You can’t really see the edges of the sheet but the designs are on the right side of the sheet. Most printers have some simple settings you can change to make your design print a little nicer. These usually use up more ink so just keep that in mind. My current printer only has a basic setting but it comes out nicely. I change my paper settings from Plain Paper to Photo Paper (matte finish). These settings are usually found on the screen after you click print. There is usually a button that says “advanced settings” or “change settings” . Then look at the different choices. Step 2: Cut the paper in half. I use a paper cutter and line up the center at 5.5 inches and cut right in half. 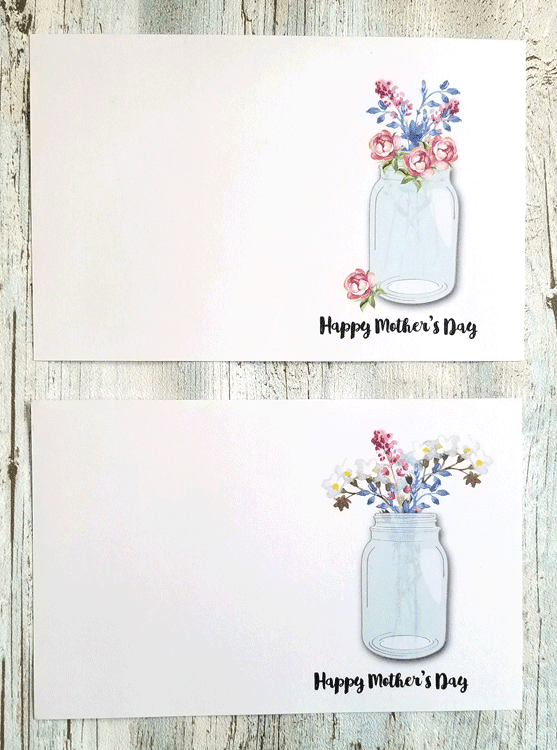 By printing the sheet with four designs you can make some other versions of the card. I have created a few to show you. After printing, cut the sheet into quarters. Then you can trim them again to get the layered look that you like using the measurements above. 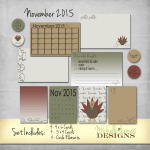 Adhere the trimmed version to your matching card stock piece. 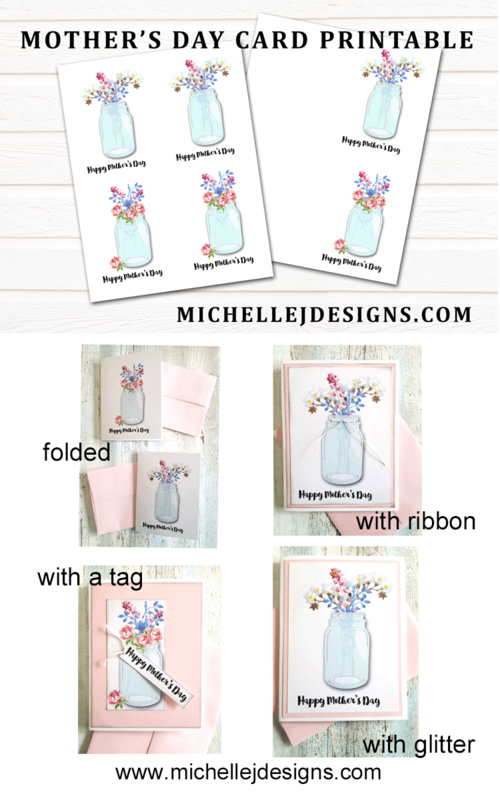 Then glue these pieces to a folded piece of white card stock (5.5″ x 8.5″) shown below. 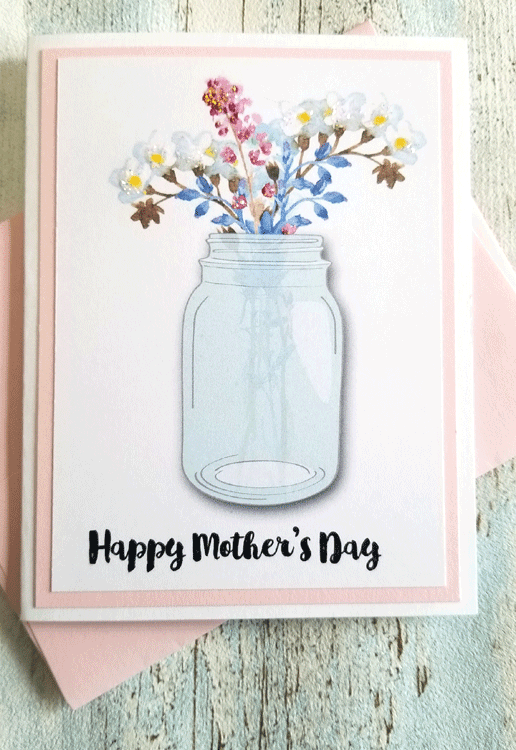 If you are a little more experienced card maker you can create other versions as well. These all have the basic same measurements (with some exceptions) but I have added ribbon or stickles as an embellishment and I have inked the edges with my black ink. The photo below is the one with the stickles. They have been added to the white flowers and the tall pink flower. 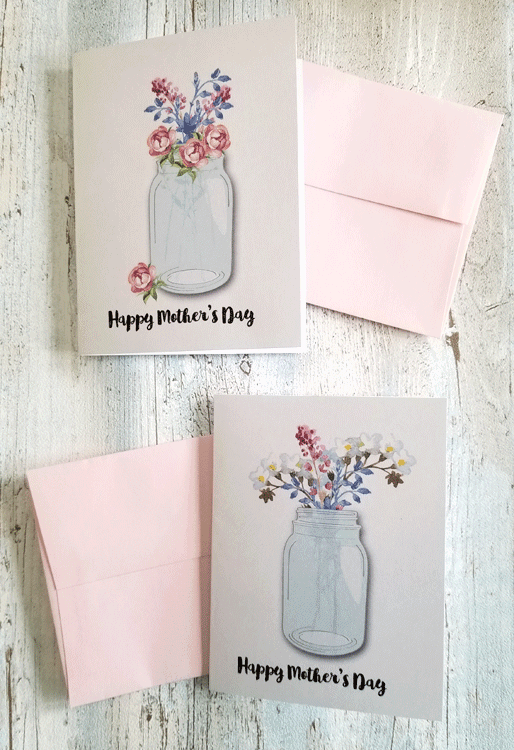 They are a little hard to see in the picture but they really add some sparkle to the card in person. 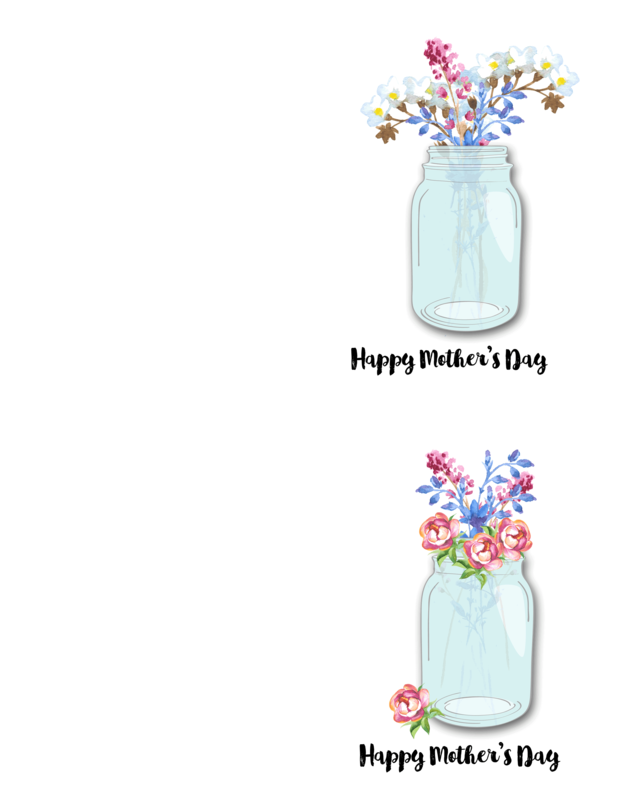 In the next version I cut the Happy Mother’s Day off the bottom and created a tag with it. 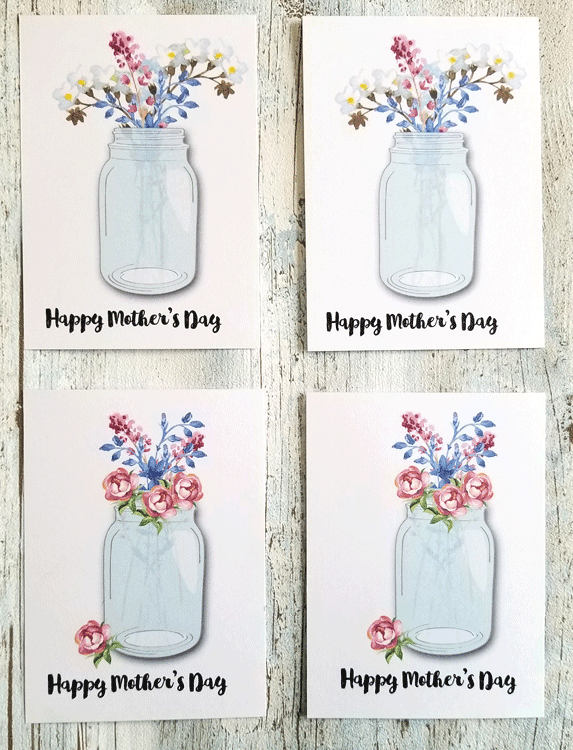 These are all easy ways to use these designs to create fun and interesting cards. 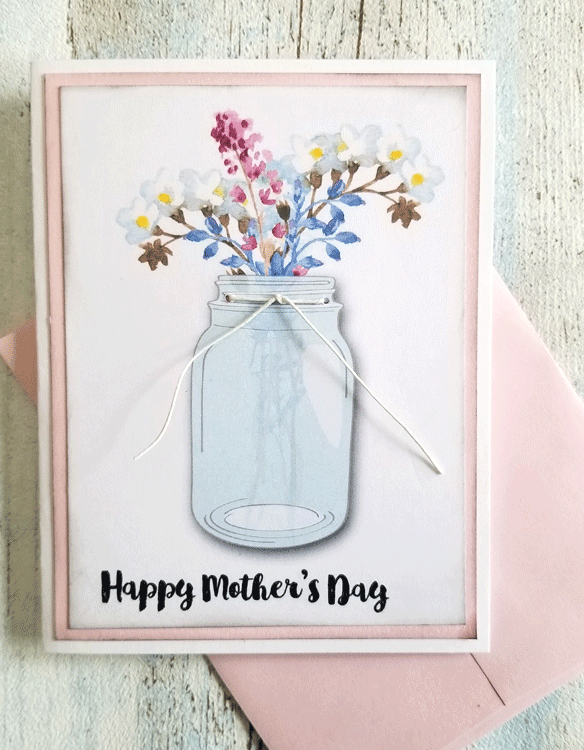 I hope you enjoy the Mother’s Day card ideas and will use this free printable to send a card to your mom or a mom on your list! 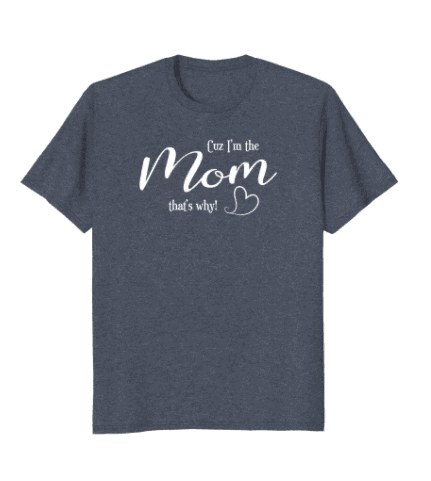 If you want more than just the free printable card for mom check out my “mom” shirts on Amazon! 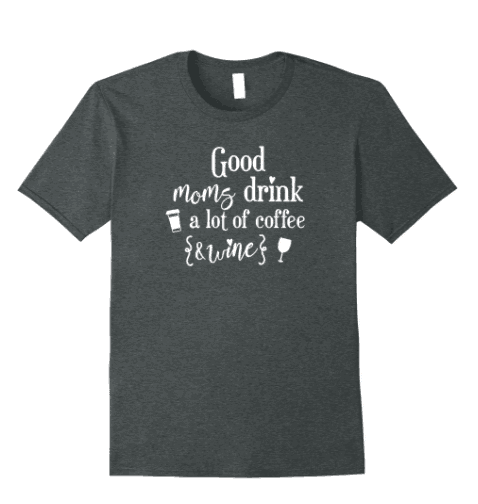 They are available in 5 different colors and a variety of styles. 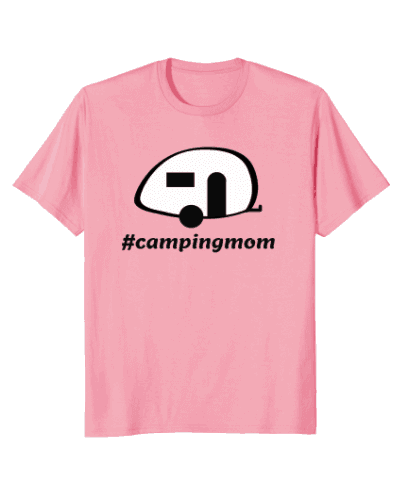 The women’s sizes run a bit small so size up if you like a loose fit! 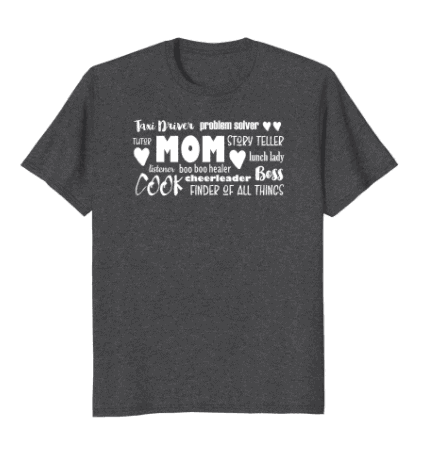 You can click on the text below each shirt or on the photo to see the details on Amazon. Please sign up for my email/newsletter today. You can get free cupcake birthday card printables just for signing up! See the box below. 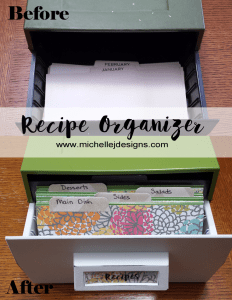 I also love the way you show how to make them a little more detailed with backing paper and tags. Super cute. The t-shirts aren’t bad either. Thanks! Hi Patti! Thanks so much. I am glad you like them. I always like to show how to step them up a notch or two.